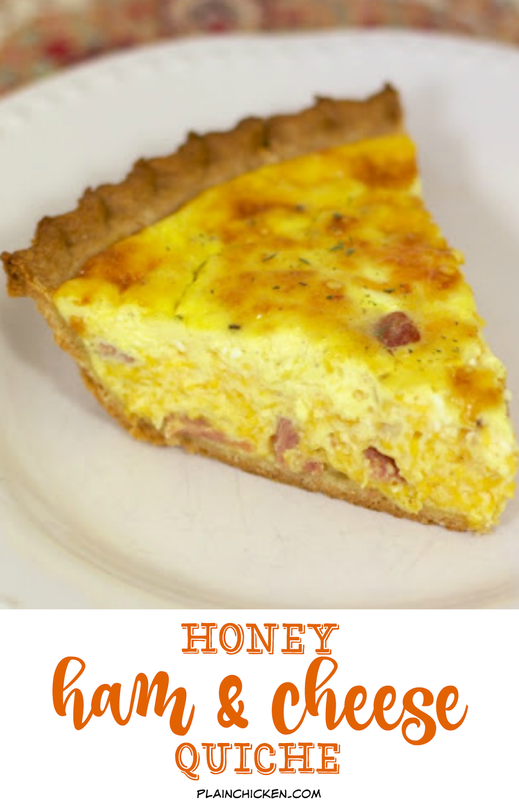 Honey Ham and Cheese Quiche - can be made ahead of time and refrigerated and even frozen for later. Great for breakfast, lunch or dinner! Chicken Legs requested quiche for dinner last week. 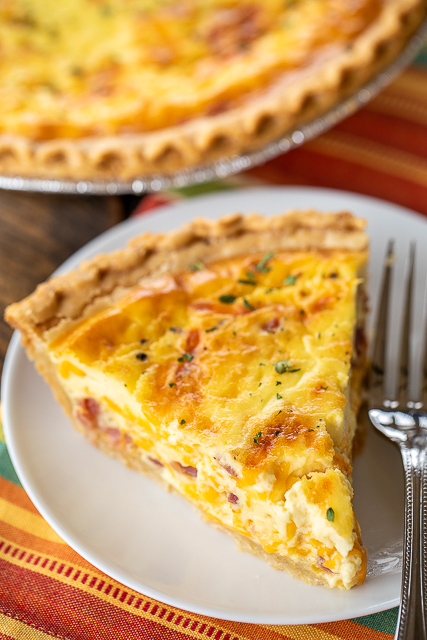 I had some leftover ham in the freezer, so I whipped up a ham and cheese quiche. 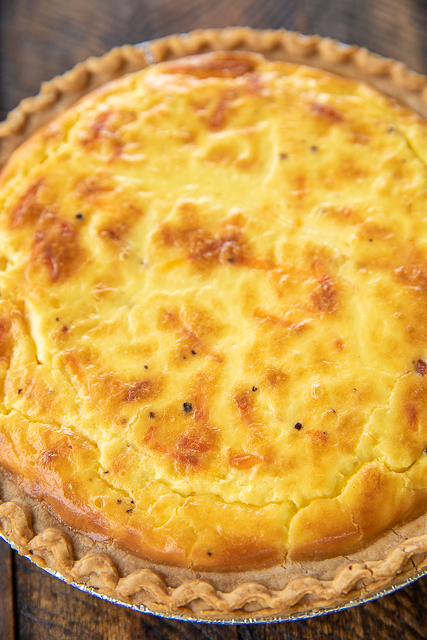 This quiche is a little different than most ham and cheese quiches. This version has honey mustard dressing in it. It might sound weird, but it was delicious!! We both loved this quiche. I am already planning on making it again. This can be made ahead of time and stored in the refrigerator or even frozen before you bake it. 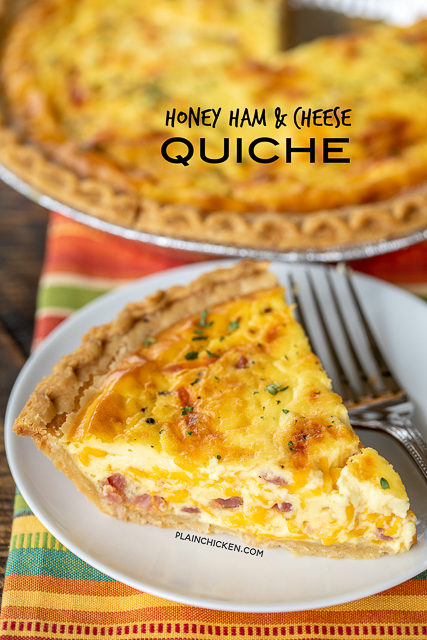 I find that sometimes my quiches with ham in them can turn out a little runny. I think the moisture from the ham comes out when it cooks. I happened to remember that when I was making this quiche and sautéed the ham in the skillet before adding it to the pie crust. The quiche wasn't runny, so I think this step helped. The water content may vary by brand of ham, I used Honey Baked Ham. Whisk together eggs, honey mustard dressing, sour cream, pepper and cream. 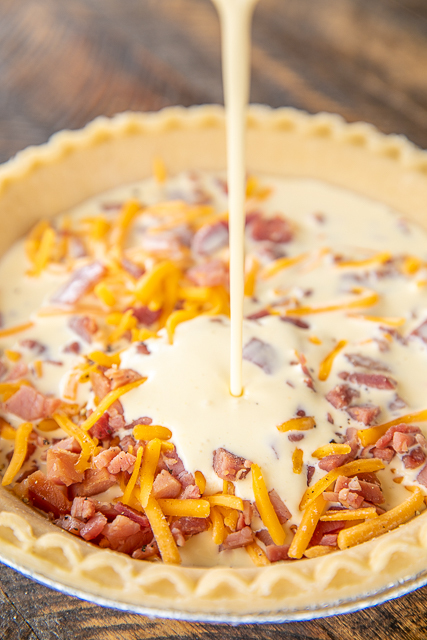 Add ham and cheese. Stir to combine. Pour egg mixture into prepared pie crust. 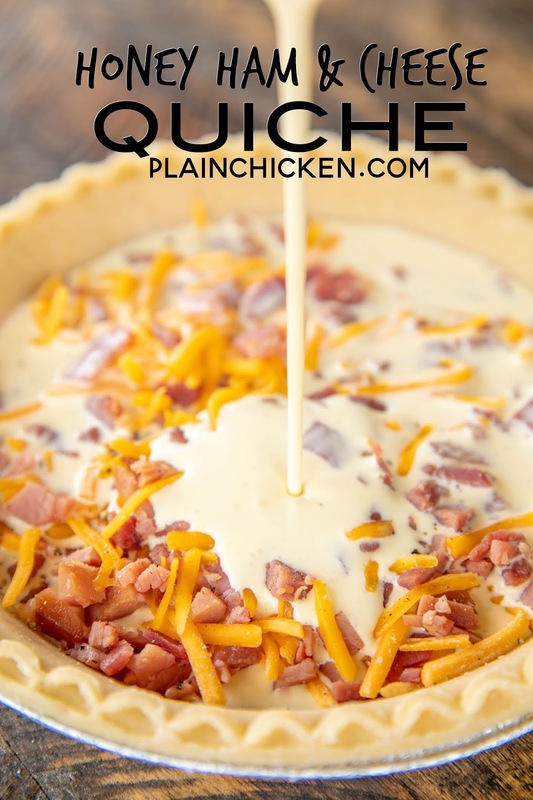 I can't wait to try your quiche!! I like the idea of sauteing the ham and the addition of honey mustard is wonderful.